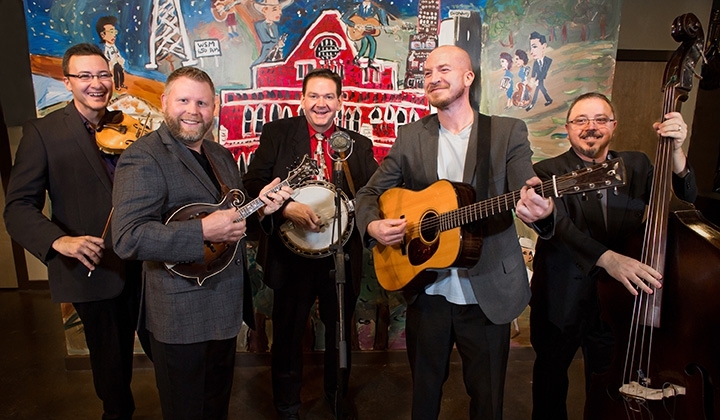 The 2016 Richmond Folk Festival will feature a Bluegrass band from Southwest Ohio called The Radio Ramblers. Founding member and banjo player Joe Mullins owns a network of traditional country radio stations. Moonlighting as a broadcaster and a bluegrass musician is something he learned from his father, Paul Mullins, a former fiddler with the Clinch Mountain Boys and a forty-five year Broadcast veteran. In this segment, Mullins discusses the evolution of his band and his livelihood. The music in this segment comes from recordings made by the Radio Ramblers for Rebel Records, available on their website and from a video of a group that featured Joe Mullins and his father called “The Traditional Grass.” Their most recent release is an album of gospel songs called “Sacred Memories,” featuring guest appearances by Ricky and Sharon White Skaggs, Rhonda Vincent and The Isaacs. Reverend Frank Newsome: a former coal miner and currently an elder and preacher at Little David Old Regular Baptist Church in Buchanan County. To hear him singing a Capella hymns is an experience you won't forget. Shadowgrass: a group of young musicians between the ages of 11 and 16 from the Blue Ridge Mountains of Virginia and North Carolina. David and Mason Via: father and son bluegrass singer/songwriters from Patrick Springs, Virginia. Dori Freeman, an Appalachian singer/songwriter from Galax Virginia.